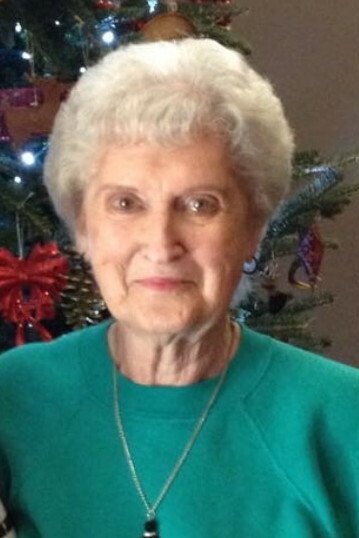 WOODRUFF- Carolyn Adams Luker, 89, of 118 White Oak Road passed away Monday, April 15, 2019 at White Oak Manor in Newberry. A native of McMinnville, Tennessee, she was the daughter of the late Robert Franklin Adams Sr. and Louise Hennesse Adams and was the widow of Archie O. Luker. She was a member of Northside Baptist Church and was a retired employee with Woodruff Chevrolet. Surviving are one granddaughter, Tonya (Steve) Sligh of Newberry; niece, Sharon Adams Taylor (Danny) of Woodruff; 4 great-grandchildren, Ryan P. Williams and Reese L. Williams both of Lexington and Stevie Sligh III and Dylan W. Sligh both of Newberry. She was predeceased by her daughter, Kay Williams and her son, Larry Luker, a grandson, Gregory W. Williams, a brother, Robert F. Adams Jr., a nephew, Scotty Adams who was married to Gloria Adams of Duncan, and she was predeceased by a great-granddaughter, Chelsea M. Williams. Graveside services will be conducted Thursday, April 18, 2019 at 11:00 a.m. at Woodruff Memorial Gardens. Visitation will be held from 9:30 a.m. to 10:45 a.m. prior to the service at Lanford-Gwinn Mortuary.